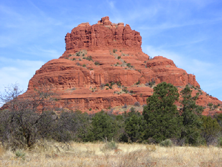 Join us for our next Women's Shamanic Empowerment RetreatS in Sedona, in Fall 2019/ Spring 2020. Contact us to be placed on our list to receive more information later this year. This is a special retreat both for increasing intuition, empowerment of the feminine, masculine and esoteric energies and for tapping into the vortexes. Jenifer is a very clear, consistent and grounded teacher and shaman and will ensures emotional safety during all of her programs. There is no pushing unless you choose to push yourself. "I do not believe that pushing past one's boundaries is necessary for empowerment. When we constantly do this, we break down the Spiritual connections. Boundaries are a soul insistence and we need to learn to work with them, not ignore them, to walk with Spirit and in our personal power." This retreat is all about becoming whole, centered, at peace and empowered as the woman you are as you are connected to Spirit, Mother Earth, God and/or the Energies you call to if you do (absolutely no dogma here) and we move into a new spiritual age where the Feminine will be expressing itself globally in more powerful ways. My intention is through the connections you experience - vortex, guide, inner, soul - you will find your way not only to the inner 'home' but also in your outer world. 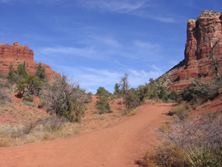 Personal healing retreats in California are available in an ongoing basis. Find out more here.